Not every Supreme Court nominee has received a floor vote in the Senate. A president may withdraw a nomination before an actual confirmation vote occurs, typically because it is clear that the Senate will reject the nominee; this occurred most recently with President George W. Bush's nomination of Harriet Miers in 2006. The Senate may also fail to act on a nomination, which expires at the end of the session. 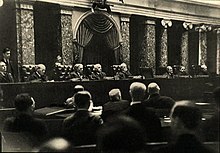 For example, President Dwight Eisenhower's first nomination of John Marshall Harlan II in November 1954 was not acted on by the Senate; Eisenhower re-nominated Harlan in January 1955, and Harlan was confirmed two months later. Most recently, as previously noted, the Senate failed to act on the March 2016 nomination of Merrick Garland; the nomination expired in January 2017, and the vacancy was later filled by President Trump's appointment of Neil Gorsuch and his confirmation by the Senate. 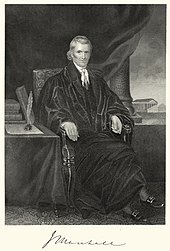 The Supreme Court's 2014 decision in National Labor Relations Board v. Noel Canning limited the ability of the President to make recess appointments (including appointments to the Supreme Court); the Court ruled that the Senate decides when the Senate is in session (or in recess). Writing for the Court, Justice Breyer stated, "We hold that, for purposes of the Recess Appointments Clause, the Senate is in session when it says it is, provided that, under its own rules, it retains the capacity to transact Senate business." This ruling allows the Senate to prevent recess appointments through the use of pro-forma sessions. 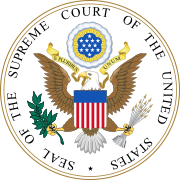 ^ "About the Supreme Court". Washington, D.C.: Administrative Office of the United States Courts. Retrieved September 3, 2018.